In other words, there is a whole lot more water going back into the mantle than previously thought. And the volume being input into the mantle is much greater than the smaller volume that is observed coming back out. This doesn’t bode well for the long-term stability of ocean levels or total volume. Most secular scientists believe plate tectonics and subduction have been active on Earth for a few billion years at least. With more water constantly going into Earth, ocean levels should have dropped over these claimed vast amounts of geological time. The question is why not? Have scientists really miscalculated the amount of water coming out of the mantle? Or is there another solution to this apparent quandary? Our oceans still hold about 97% of the world’s total water because they are young. So, the net loss of water from the oceans hasn’t been going on for billions of years as secular geologists suppose. It has only been occurring for around 4,500 years. 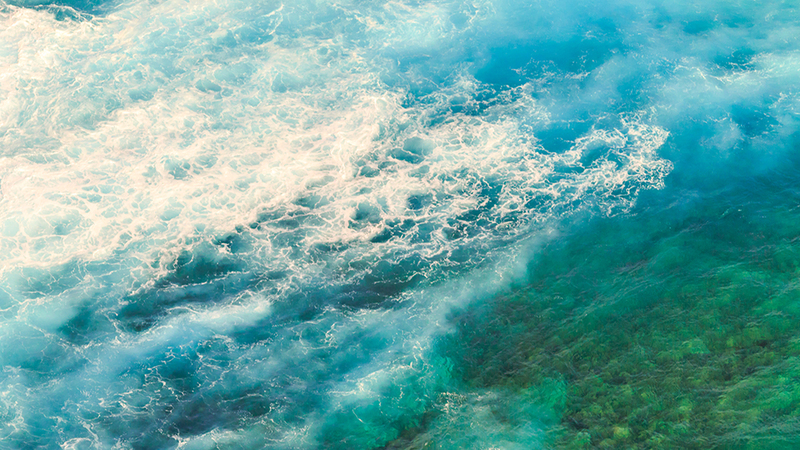 Our oceans still hold about 97% of the world’s total water because they are young.